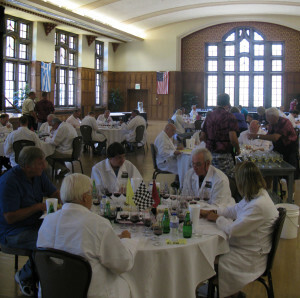 The Indy International Wine Competition at the Purdue Memorial Union in West Lafayette, Indiana. There are many quality wine competitions in the Midwest, but there’s only one with an international scope: The Indy International Wine Competition. For the 23rd consecutive year, the ballroom at the Purdue Memorial Union will be packed from July 30th to August 1st with wines from 40 states and 15 countries. 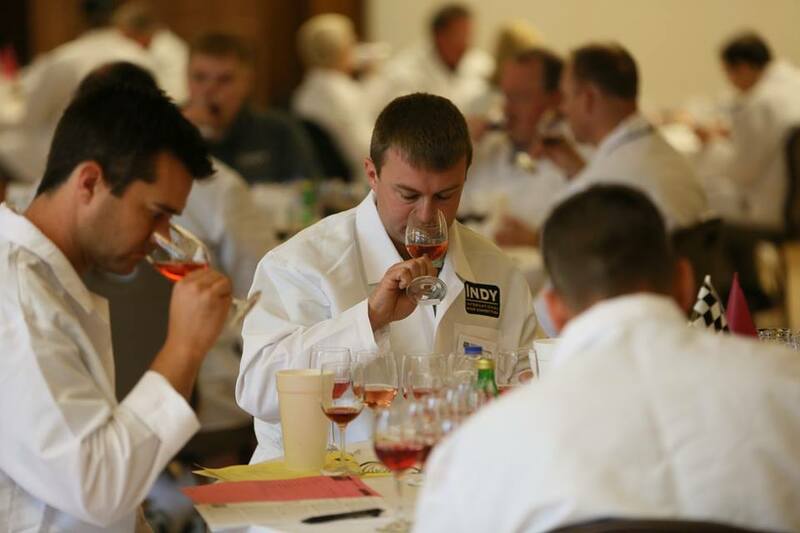 In keeping with the trend at Midwest wine competitions, judges at the Indy International Competition come from all over the U.S. This year’s Competition includes judges from California like Dan Martin of E&J Gallo, Rhonda Wood of Wood Family Vineyards and Ann Nobel, the creator of the wine aroma wheel. After tasting the best Midwestern wines, judges from other regions are often impressed (and intrigued) by the character of Midwestern varietals. During the 2012 competition, a judge from California remarked that he was more impressed with the red hybrid flight than the Merlot flight. Having a broad array of wines and an emphasis on lesser known grapes is a point of pride for the Purdue University Wine Grape Team who run the Competition. Last year, there were seven White American category classes and seven Red American categories including Catawba and Norton/Cynthiana. French and American hybrids also share top billing with 15 hybrid categories including Vignoles and Frontenac. All these categories add up to a lot of ways for participating wineries to earn medals. This year, the Indy International will award about 70 Best of Class medals, one for each wine category. (In comparison, the Finger Lakes Competition has only four ‘Best Wine’ medal winners; all other medals are bronze, silver and gold.) At Indy International, the Best of Class wines move on to the final judging table to determine Best of Show, Best White, Best Red, Best Dessert, Best Sparkling and Best Rose. As the largest U.S. wine competition run by a university, the Indy International is heavily dependent on volunteers. About 120 volunteers perform tasks that range from washing thousands of wine glasses to disposing of over 5,ooo wine bottles. The bottles and recycled and so is some of the wine. 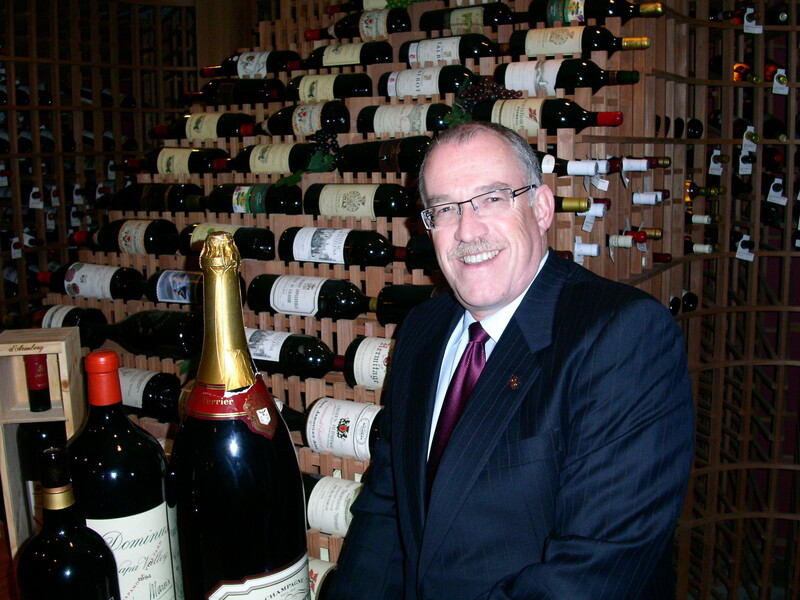 According to Merritt, unused wine is used for research by Purdue students and faculty. For example, some of the leftover Traminette has been used to study the source of cork taint. Previous story Do You Know Where Your Vineyard is Today?